pH and ORP measurement loops can be difficult to troubleshoot unless you have the right tools. Our CAL-C110 simulator mimics the signal of a perfect pH or ORP sensor. 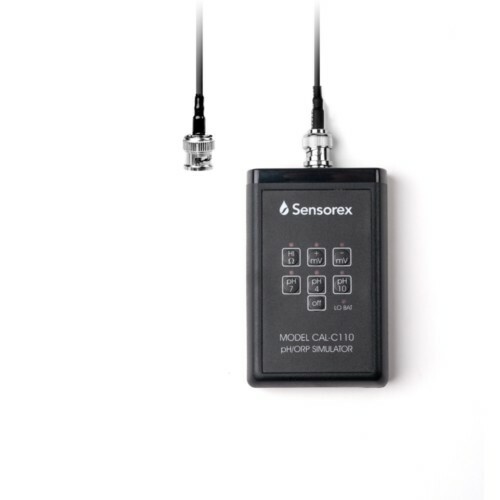 No need to throw away good sensors when the issue may be the interconnection cables or pH/ORP instrument. The simulator costs less than most pH or ORP sensors. It can easily pay for itself the very first time you consider disposing of a perfectly good sensor. 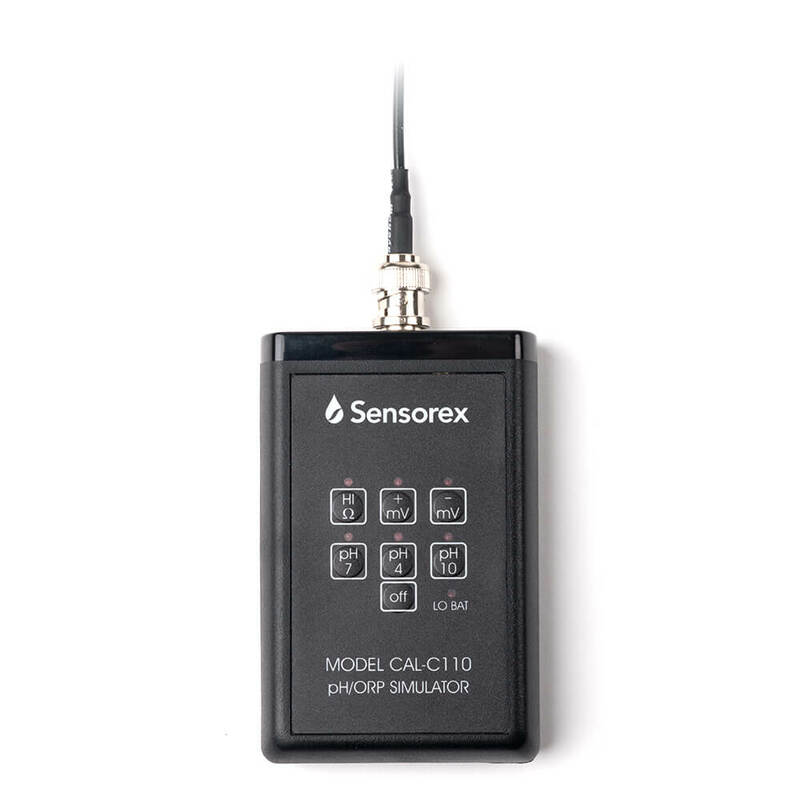 Allows the user to identify the sensor, cable, meter, preamplifier, or controller as the cause of the problem. pH and ORP measurement loops can be challenging to troubleshoot unless you have the right tools. Our CAL-C110 ORP & pH simulator mimics the signal of a perfect pH or ORP sensor. 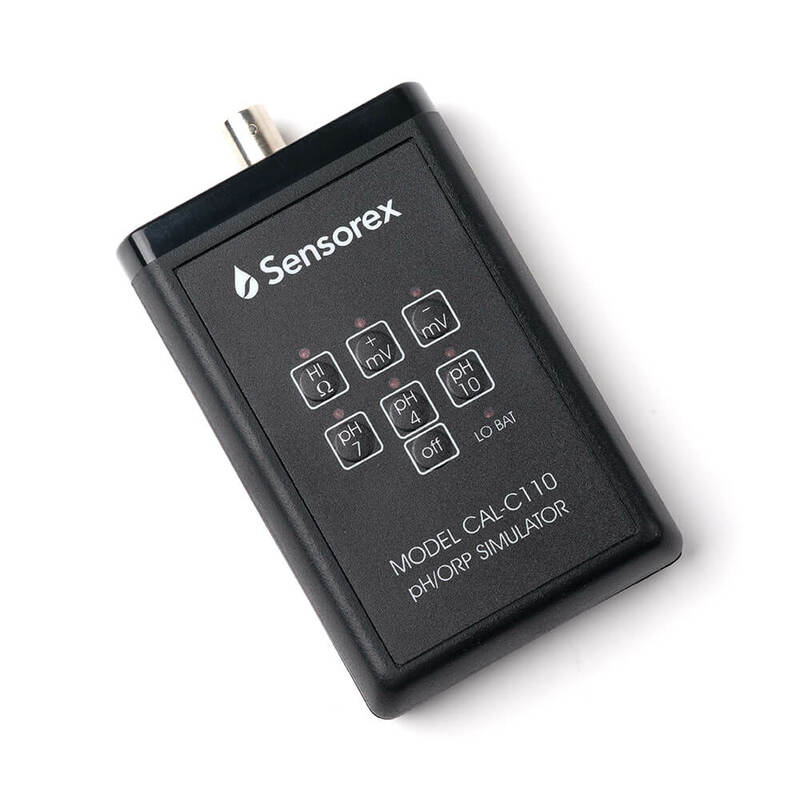 No need to throw away a perfectly good sensor, when the complication might actually be the interconnection cables or the pH/ORP instrument. The simulator can easily pay for itself the first time you consider disposing a perfectly good sensor. This allows the user to identify the sensor, cable, meter, preamplifier, or controller as the cause of the problem.